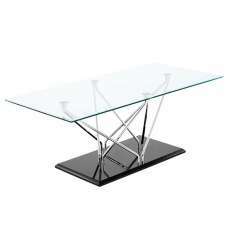 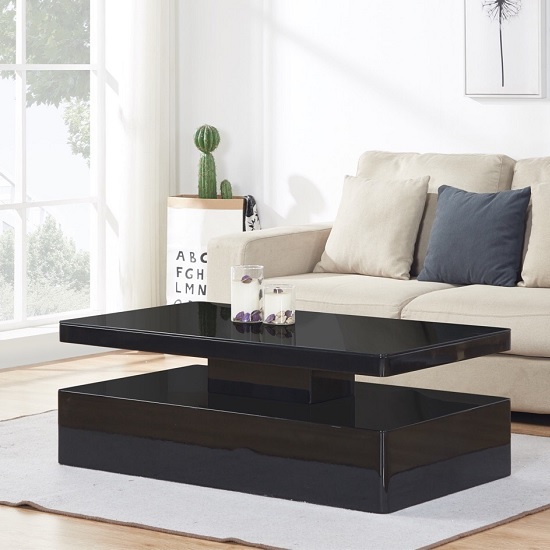 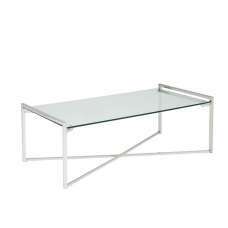 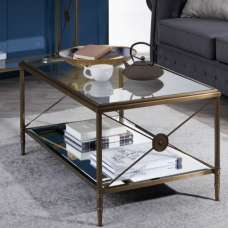 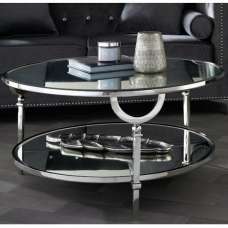 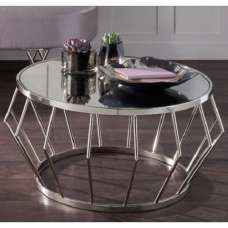 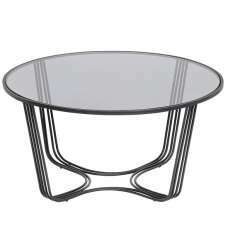 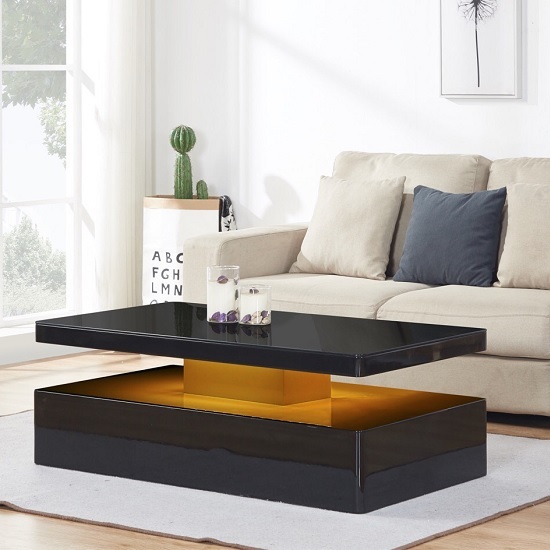 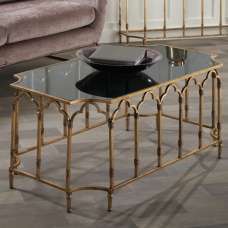 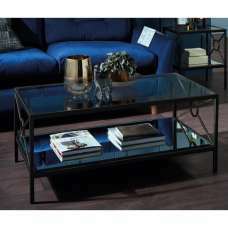 Quinton Modern Glass Coffee Table Rectangular In Black High Gloss With LED, is visually pleasing and functional piece will add a touch of elegance in any living room. 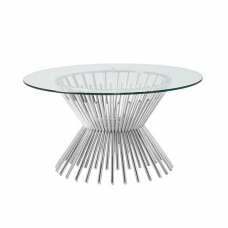 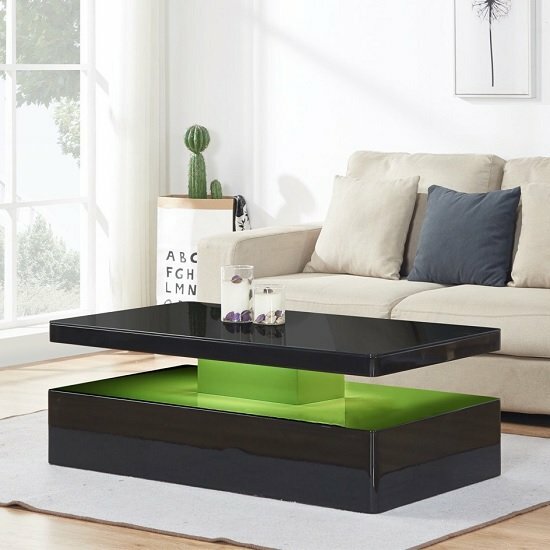 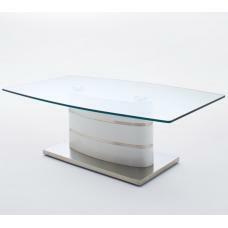 This coffee table has glass top with flawless black high gloss finish giving it a seamless clean finish with LED light effect in a centre section. 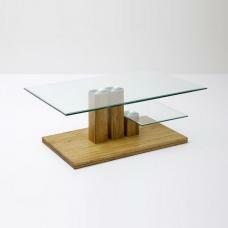 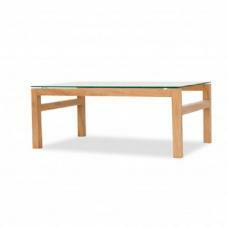 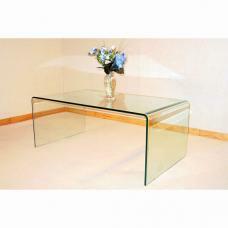 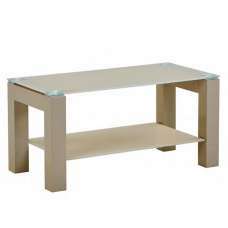 The coffee table has a rectangular shape which is very easy to clean in no times and will add a wow factor to any living area. 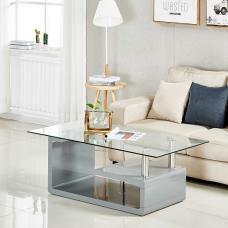 Smooth black gloss finish gives it a modern appearance, and also allows you to quickly wipe away any stains or spills.